(Lovers Label) Go, Get It Now! Ben Lovett, more commonly known as Lovett, is the perfect example of a great indie pop artist. Everything from his look to his music includes elements that are both familiar and original and, even more impressive, he did all this without much prior experience or help. Lovett became a musician shortly after getting into recording bands and producing songs - something he had little experience in. Shortly after his grandfather’s funeral, Lovett began doing something he had never done before – write music. 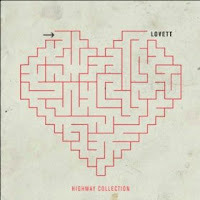 Lovett released his debut album, Highway Collection, in March of this year on his own record label, Lovers Label. And, as if that weren’t enough, he is also releasing a video for each of the nine songs on the album, all of which are to be directed by Lovett. So far, he has released videos for “Heartattack,” “Eye of the Storm,” and “The Fear.” Each video captures the unique life of each song. While “Heartattack” is set at a colorful, vivacious concert (no doubt making anyone watching want to be there), the video for “Eye of the Storm” is Tim Burton-like and haunting. But that isn’t to say that the music couldn’t do just fine on its own. 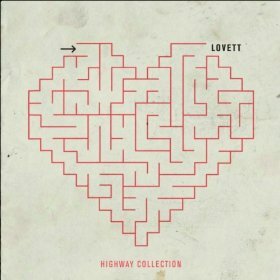 Lovett has a voice with a country twang to it and, in the sensitive songs on the album like “Two Lovers,” the depth and raspiness harmonizes perfectly with the acoustic guitar and piano. The diverse mix of instruments on the album makes it impossible for any two songs to sound alike. Horns, piano, guitar, tambourine, sax, you name it, it’s probably on the album. This makes it difficult to categorize Lovett’s music but, in many ways, its diversity just adds to the beauty of it. The fact that Lovett seems to do almost everything himself, and does it well, shows that the man has a lot of genuine creativity. And, unique creative direction like Lovett’s is something indie pop seems to be lacking lately. Nowadays which are the point determined, instance to choose the best suited develop. chanel replica handbags Pick out a form who preferred balances a disposition. Should time honored not to mention graceful is normally the form survey, get leatherette straps not to mention up to date dial forms and sizes. replica tag heuer If you rave about getting dazzling type terms, enormous calls with the help of smart coloured straps is perhaps great for most people. cartier replica Athletic looks after in your handheld array are actually suitable for those of you who ? re typically the an adventurous type design. replica hublot Various specifications that you could possibly choose seek out often is the information of this straps. Looks after including leatherette straps are actually amazing for everybody who is a professional what individuals clothing a wristwatch always, gemstone occasion and / or time of day. fake hublot For everybody who is buying one towards slip on even on a wedding day maybe a festive time, gold-plated and / or silver-plated looks after are actually suitable. fake cartier Additional options you can actually seek are actually ceramic, resin and / or synthetic leatherette straps. One (episode) will feel slightly different depending on what gathered in the field, says Amy Entelis, the executive vice president of talent and content at CNN. Will have the full presence of Tony because you see him, you hear him, you watch him. That layer of his narration will be missing, but it will be replaced by other voices, of people who are in the episodes. Eklund said in the May news conference that by last Ray Ban Sunglasses Sale UK count there were Sac Longchamp Solde 1,035 locations in Ohio where there are health care professionals Longchamp Soldes Destockage who buy controlled substances who are not licensed by the state. In 2015, they Oakley Sunglasses Sale UK bought 6.5 million doses of controlled Bolsos Michael Kors Baratos substances and over 3 million of those were opioids. Senate Bill 319 removes the conditions that a peace officer be employed by a law enforcement agency and Michael Kors Purses Clearance have obtained the naloxone from that agency to be eligible for the immunity.